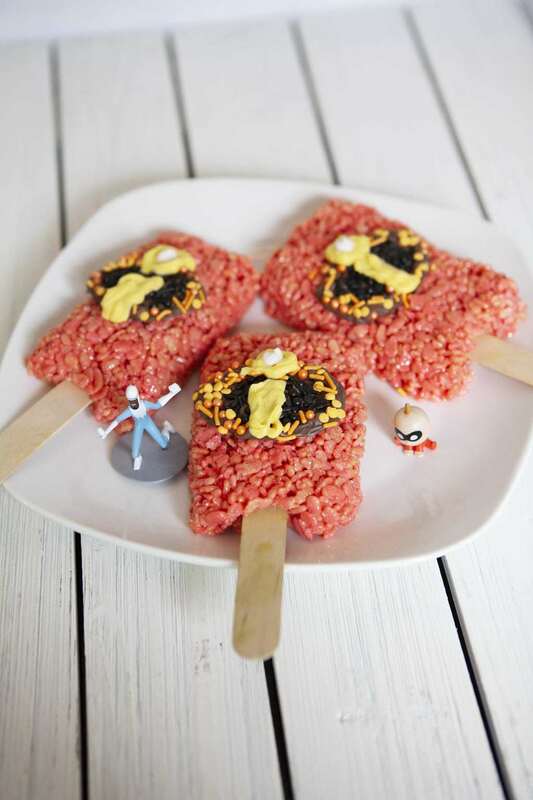 What better way to celebrate the latest movie release of Incredibles 2 than with these delicious Incredibles Rice Krispie Pops? They’re certain to be the perfect way to kick off the excitement before the movie even starts! 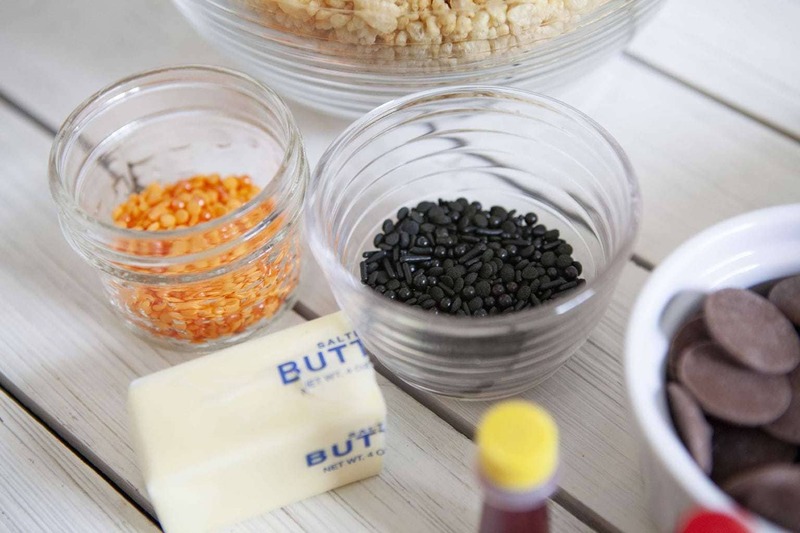 If you’ve been searching for the perfect treat for you and your kids to make together in celebration of the new Incredibles movie release, this is the one for you. Besides the melting of a few ingredients, this Rice Krispie treat recipe literally requires no cooking. From start to finish, it’s a recipe that can be made in a flash. The only person who could possibly make this recipe faster than you? Dash from Incredibles, of course. Better plan on doubling up on a batch of these Incredibles Rice Krispie Pops because you and your crew will need to eat this perfect snack before, and after the movie. Imagine coming home after watching the movie, sitting around the table while snacking on these Incredible treats and talking about everything that you loved about the new Incredibles movie? Sounds like a recipe for the perfect family-fun night! Pour 6 cups of cereal and set aside. In a large pot, add ½ stick of butter and melt over medium heat. Once melted add the bag of marshmallows to the pot and stir until completely melted. Add a few drops of red food coloring. Add cereal and mix until all the cereal is covered. Spread cereal mixture onto a greased baking sheet. Spray hands with cooking spray and press cereal onto baking sheet until it even. Set aside. Cover a baking sheet in wax paper. Melt chocolate waffers in microwave in30 second intervals, stirring in between until melted. Pour chocolate into piping bag or zip lock bag. Cut the tip off. 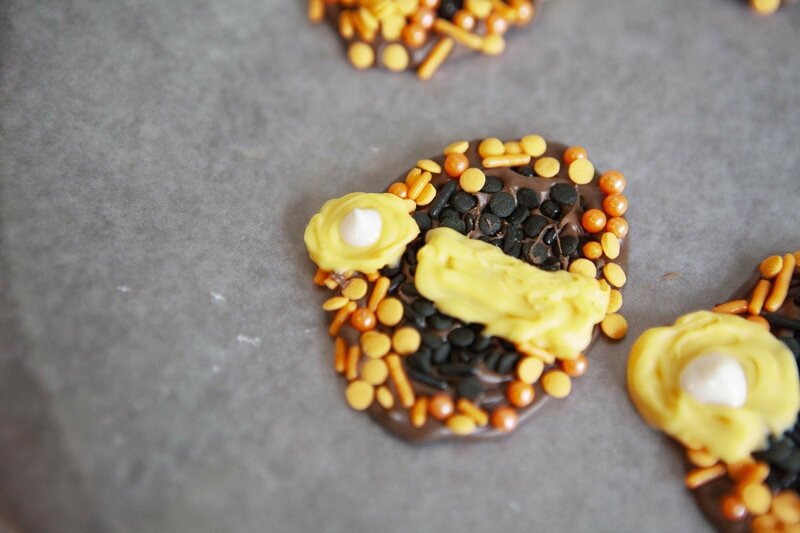 Using the bag, squeeze chocolate into an oblong oval shape. Now sprinkle black sprinkle all over the oval shape. Wait about 30 seconds to 1 minute for it to set. Now squeeze a thin chocolate ring around the black sprinkles. Now, sprinkle it with the orange sprinkles. Set aside to let harden. Set the leftover melted chocolate waffers aside to reuse later. Next, melt your yellow waffers the same way you did the chocolate ones. 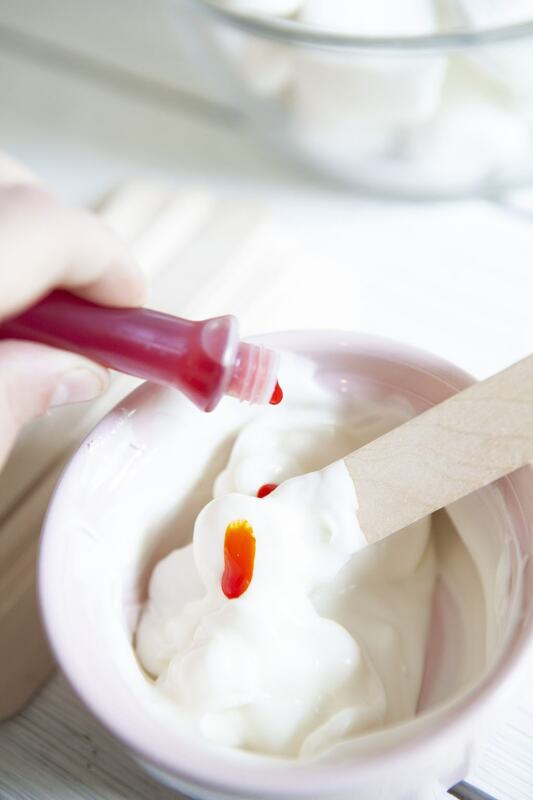 If using white, add a couple drops of yellow food coloring and mix well. Pour into piping bag. Cut tip off. Squeeze the yellow melted waffers into the shape of an “i”. Let sit for a few mins until hardened. You may use white melted chocolate or white sprinkles to fill in the center of your “i”. Cut Rice Krispie treats into rectangle shapes. Insert jumbo popsicle sticks into the bottom of each rectangle to create a “popsicle”. 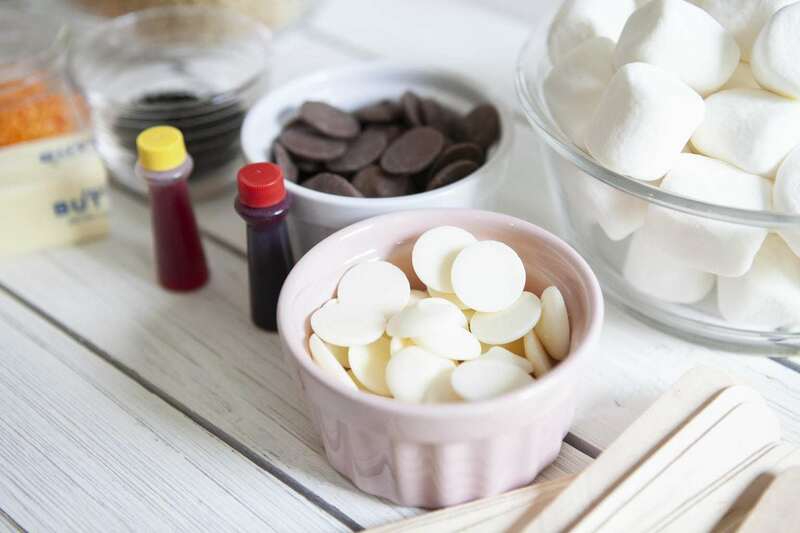 Place your chocolate waffer piping bag into the microwave for about 10 seconds to remelt the hardened chocolate. Gently pull each incredibles logo off the wax paper. Apply melted chocolate to the back of the logo then place it onto the center of the rice kripie pop. Let sit about 5 mins. Serve. 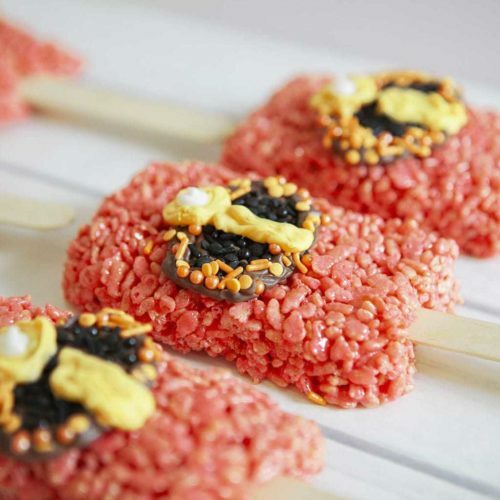 Get excited about making these Incredibles Rice Krispie Treats! 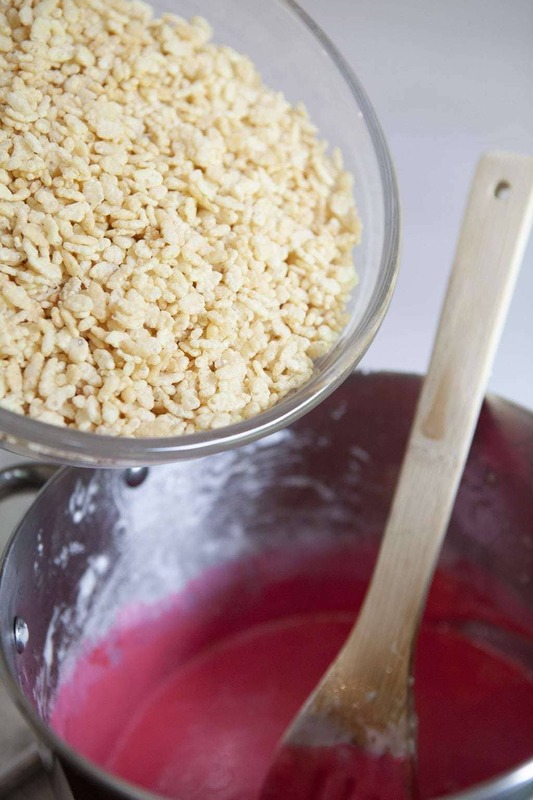 This Rice Krispie treat recipe literally requires no cooking. Better plan on doubling up on a batch of these Incredibles Rice Krispie Pops because you and your crew will need to eat this perfect snack before, and after the movie. For the Rice Krispie treats, pour 6 cups of cereal and set aside. In a large pot, add ½ stick of butter and melt over medium heat. 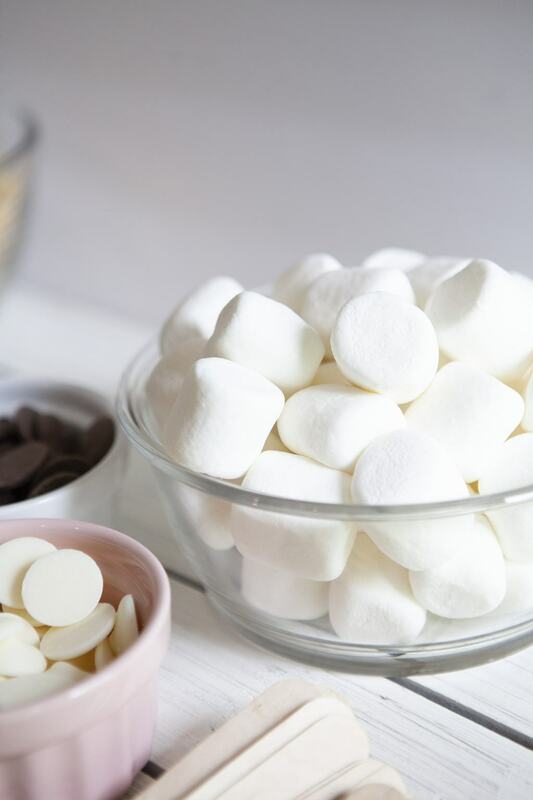 Once melted add the bag of marshmallows to the pot and stir until completely melted. Add cereal and mix until all the cereal is covered. 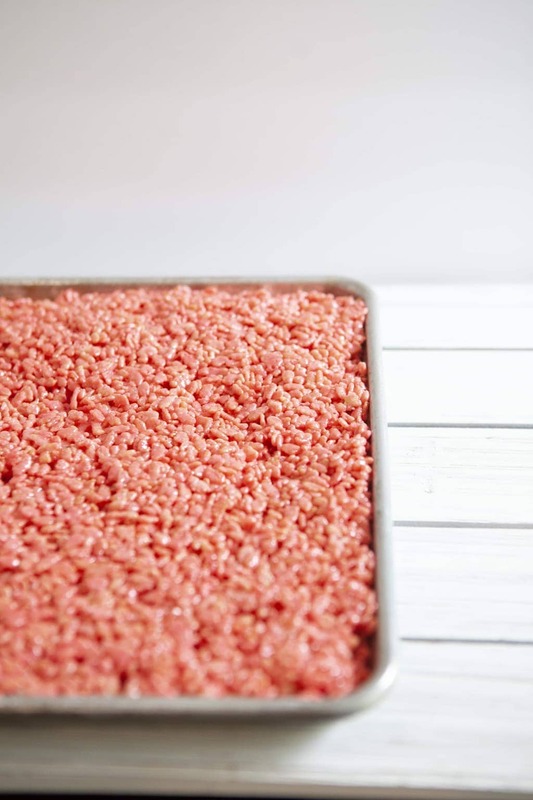 Spread cereal mixture onto a greased baking sheet. Spray hands with cooking spray and press cereal onto baking sheet until it even. Set aside. For the logo, start out by covering a baking sheet in wax paper. Melt chocolate wafers in microwave in30 second intervals, stirring in between until melted. 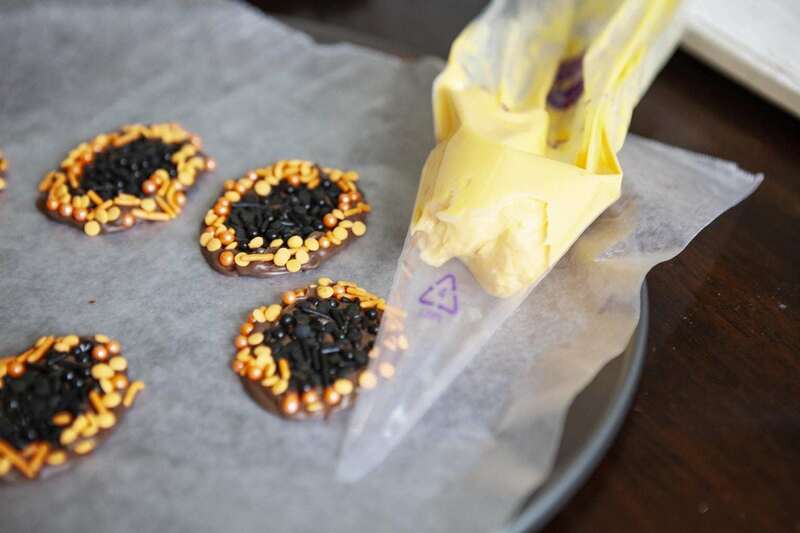 Pour chocolate into piping bag or zip lock bag, cut the tip off. Using the bag, squeeze chocolate into an oblong oval shape. Now sprinkle black sprinkle all over the oval shape. Wait about 30 seconds to 1 minute for it to set. Now squeeze a thin chocolate ring around the black sprinkles. Now, sprinkle it with the orange sprinkles. Set aside to let Harden. Set the leftover melted chocolate waffers aside to reuse later. Next, melt your yellow waffers the same way you did the chocolate ones. If using white, add a couple drops of yellow food coloring and mix well. Pour into piping bag and cut tip off. Squeeze the yellow melted waffers into the shape of an “i”. Let sit for a few mins until hardened. You may use white melted chocolate or white sprinkles to fill in the center of your “i”. Finally, cut Rice Krispie treats into rectangle shapes. Insert jumbo popsicle sticks into the bottom of each rectangle to create a “popsicle”. Gently pull each incredibles logo off the wax paper. Apply melted chocolate to the back of the logo then place it onto the center of the rice kripie pop. Let sit about 5 mins. Serve. 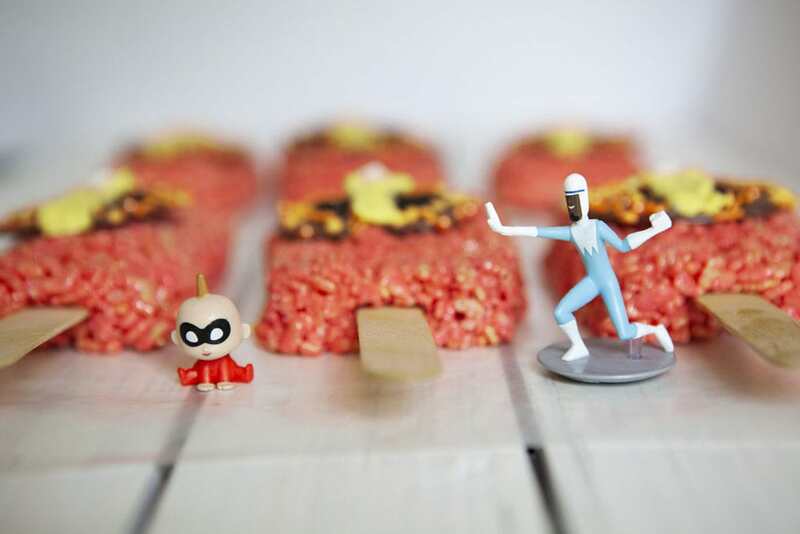 Get excited about making these Incredibles Rice Krispie Treats! This recipe is incredibly good!